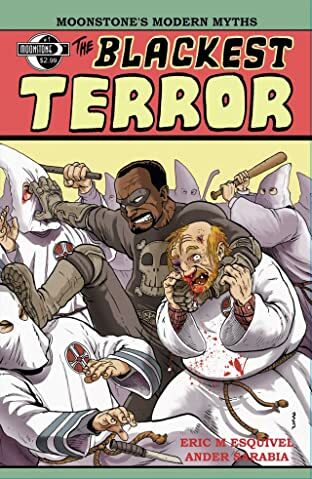 The Blackest Terror is a pioneer in what sociologists have dubbed 'the super hero subculture,' a collection of racial and social minorities who feel underserved by the mainstream legal system and have decided to take matters into their own costumed hands. How will the world react to these benevolent outlaws? Will they become celebrated symbols of humankind's capacity for good or hated catalysts of a bloody revolution?